Yet despite the inherent rewards, the Centers for Disease Control and Prevention (CDC) reports that participation in physical education classes among students has been steadily declining, with only 24% of grade 12 students attending physical education classes, down from only 41% of grade 9 students. This is especially troubling given that insufficient physical activity is one of the top health risk behaviors contributing to adolescent and teenage death and injury, along with tobacco, drug, and alcohol use, unhealthy diet, and injurious/violent behaviors. On the positive side, research studies show that a mere 20 minutes of walking affects brain functioning, helping to stimulate students’ minds and improve academic success. Not only has a strong correlation been found between high fitness scores and high academic scores, but children who participate in P.E. 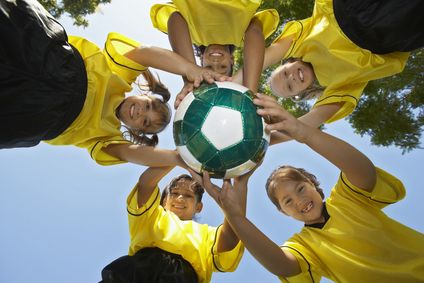 are more likely to remain active during after-school hours. The old adage that ‘an ounce of prevention is worth a pound of cure’ puts the obligation directly on school health programs to reduce the incidence of student risky behaviors and increase the odds of academic success by promoting physical education at all grade levels. Investing in students’ physical health today will allow them to reap the rich rewards far into the future.